As some of you know I am an aspiring writer. While watching other videos on YouTube I decided to see what information there was available for the writer on YouTube. While there was some limited videos, I won’t go into detail here, I couldn’t find anything for writers by writers about writing. I’m not talking about a talking head going on about there writing style, but interviews between two writers. Information on the process of writing, what to do after your first draft is finished. When to query. How to market your work and yourself. Just information that any writer would want or need. So I started one, so far I have done interviews and excerpt reading from the authors. But coming soon we will have panel conversations about those all important parts of writing that the general public has no idea happen. I think even non writers will enjoy these videos. Come watch and you will find new books to read, get to know some new and old Authors and writers. You might even learn more than you ever wanted to know about writing. 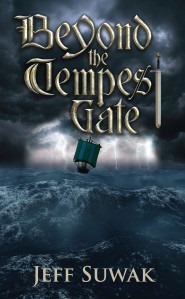 This week we have a reading from Beyond the Tempest Gate by author Jeff Suwak. Beyond the Tempest Gate is a dark fantasy novella. I have lost my mind …at least I think I have. I started a YouTube channel. Yes, I did. I’ve been watching other channels most every day and I thought, I have something that interests me and I want to share it with others. What is my main topic you may ask? Well, what else but writing and some of my other crafts would be my topic/s. My reasons are as follows. I want to share what knowledge I have gained since I starting writing as more than a hobby. I also procrastinate like you would not believe, so YouTube will kind of be my accountability partner. I have to say it is already working. I have two rough draft manuscripts from 2013’s NaNoWriMo sitting in my Dropbox, they are both now in editing. I also have two novels in the writing stage and I am determined to finish them both this year. One is partially finished and the other is in the world-building phase. Wish me luck. The Author says she found inspiration for this novel at her In-Laws property in rural Kentucky. This brings to my mind the image of her sitting in a rocker on a wrap around porch gazing over vistas of fields, where fowls frolic and baby cows suckle. In the distance, she can see mushroom clouds as the world ends. Hey, I’m a writer and an artist, I have a license to make things what I will. 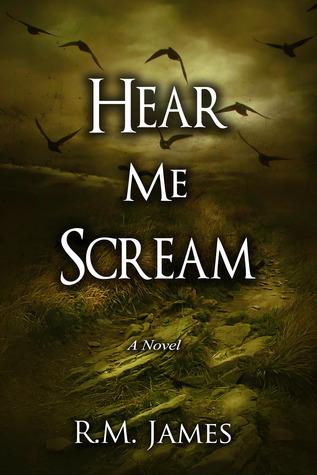 Hear Me Scream is a Post Apocalyptic tale set in rural Kentucky. Being a post apocalyptic tale you know the world as we know it has ended. The story revolves around two story lines, Raven a young mother, looking for her lost son, taken from her at three months of age. The second is Camden. I say two story lines because all the other characters interact with them in some way or the other. Now the meat of the story is always what happens to the characters. I won’t give it away but, the action makes the read go by fast, so fast you get the end and wonder what happens next, then you ask what happened before. Lucky for us. I have it on good authority R.M is currently working on the prequel. My best advice is read the story, I don’t think I could do it justice if I tried to summarize it. A summery would just leave to much of the story out. Get the book, read it, recommend it.